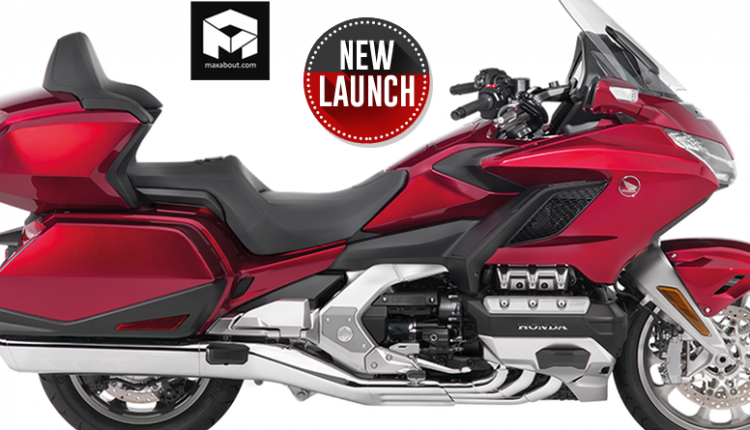 2019 Honda Gold Wing Tour DCT has been launched in India for INR 27.79 lakh. The model is priced INR 70,000 lower than the model seen in 2018 as Honda discontinued the version without the Tour moniker from India. The motorcycle is available with two smart keys for 2019, further updating the software limitations experienced in the earlier model. The motorcycle saves the voice route guidance even after the ignition is turned off during the route. Also, the daylight saving glitch is gone from the infotainment system of the 2019 Honda Gold Wing. 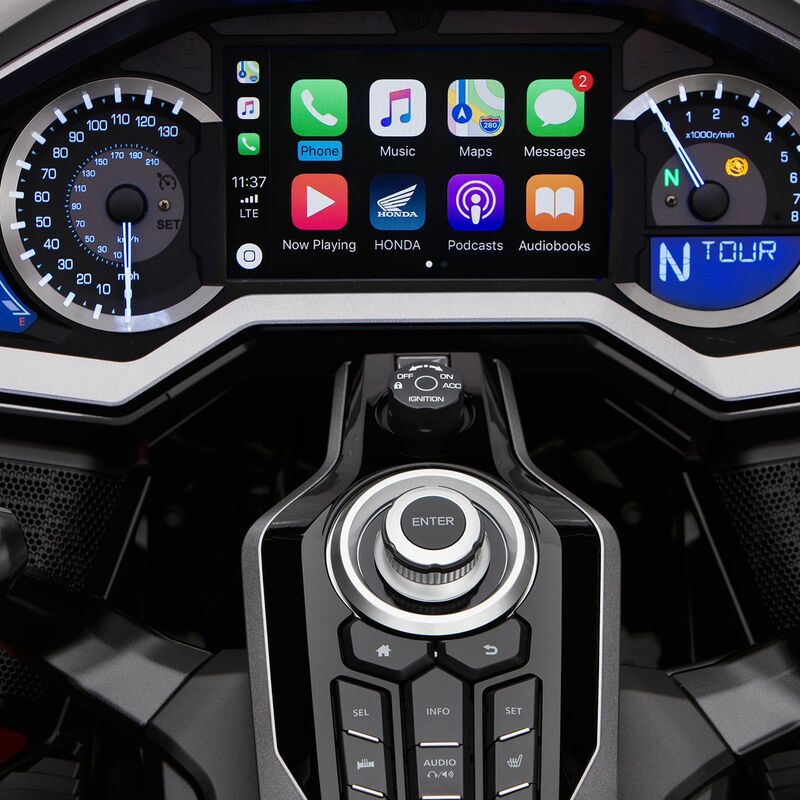 The screen supports Apple Carplay for the first time on a motorcycle. The 7.0-inch unit is waterproof and pairs a complete sound system for on-road entertainment. 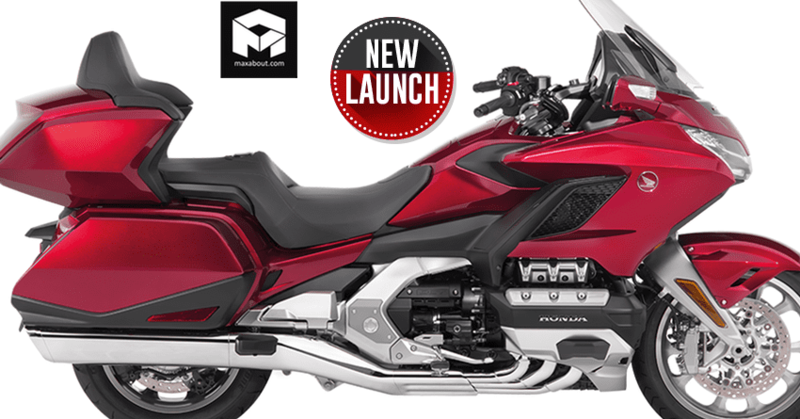 2019 model of Honda Gold Wing comes with electrically adjustable windscreen (on-the-go), LED lights, low-speed reverse function, dual clutch transmission and cruise control. The 379 kg motorcycle may not be easy to use if some of the features are omitted. 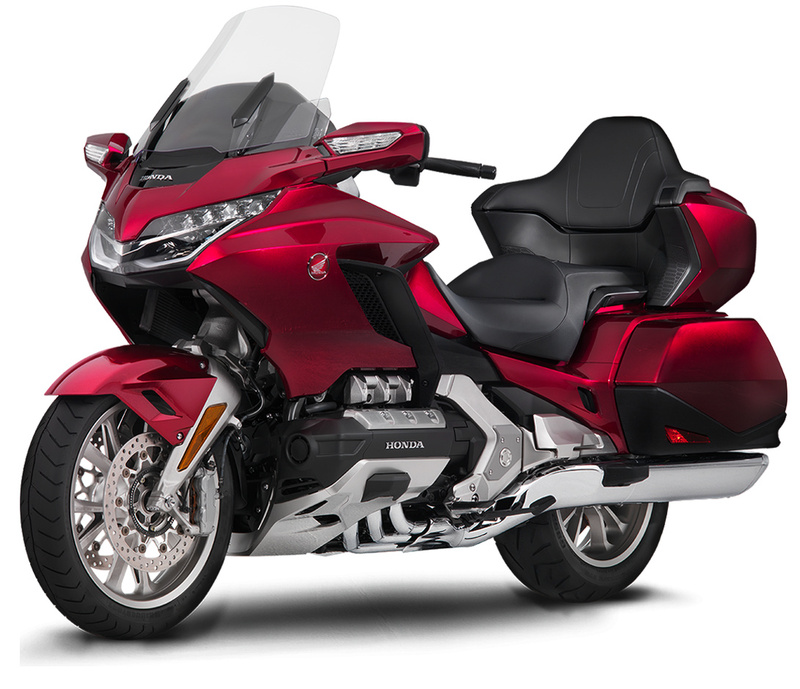 The hill start assist feature, along with four riding modes (Tour, Sport, Rain and Eco) makes Gold Wing a great partner for touring. 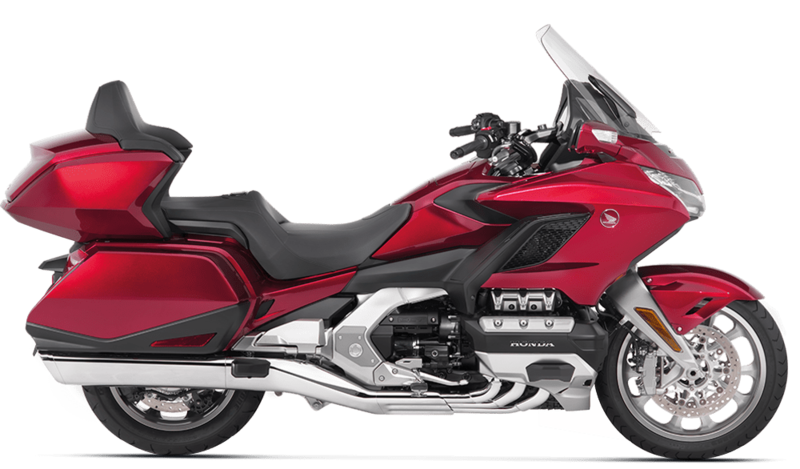 The 2019 variant shares the chassis with present generation model, making it much lighter than the last generation Gold Wing. The combined ABS delivers the braking force among both the front and rear tyre. The 1833cc, six-cylinder engine on the Gold Wing is good for 126 HP of maximum power and 170 Nm of massive torque. The availability of peak torque at just 4500 rpm makes Gold Wing a leader among modern tour machines. It rivals BMW K1600 GTL in India.